To any readers who might not live in Leabank Square - this is going to seem like the most out-there posting! But - all of Leabank Square is aware what happened to Simon and a whole bunch of our friends. Because everyone is asking me to just say something supporting him - I'm sure I speak for all of us - by wishing Simon the speediest recovery. If everyone agrees - Leabank Square could soon have a new fan! 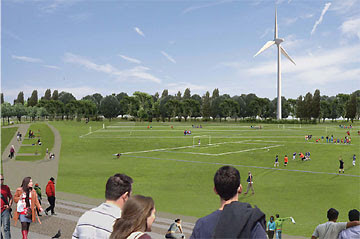 The ODA would love to erect a wind turbine on the East Marsh at the edge of the footie fields - as part of the Olympic Park - but leave it afterwards as part of the legacy. There's no getting away from it - at 120 metres - it's going to be HUGE! It will certainly be very visible from Leabank Square and most of The Wick. The consultation has started - and will continue until December 14 - after which a decision will be made to put it to the planning committee - or move it elsewhere. Nothing is certain at this point - all they asking is what we think. So what do we think? In order to help us make our minds up - Charlie Foreman form Hackney Councils 2012 team has offered to chat to us. He has plenty more info about it - and probably has an opinion as well. Please let me know what you would like to do about his offer - but also - let me know what you think about having a giant fan spinning a few metres down the canal. While doing the spring bulb planting earlier this week - the main topic of conversation was the closure of Hackney Wick Station - and several other along the line! I did a lot more homework - and although the exact date is still being kept a secret - it will be happening just after the turn of the year. Public Transport more or less shapes this part of Hackney Wick. Besides us being the 'This Bus Terminates Here' end of numerous bus routes - we are also one stop (Stratford) from the end of the North London Line. We are too far away from the new East London Line (nearest station will be Dalston) for it to be too viable to start travels. And then there are the ever changing bus stops that keep being dug up for very long periods of time. Most Hackney Wick residents do not have a car - and are completely at the mercy of public transport - and some of us have been very active in keeping the tenuous links still passing by Hackney Wick. Now it seems that the most reliable travel link will be taken out for at least 4 months! !Of course it is necessary to lengthen the platforms in preparation for all the Olympic traffic - but what we were all discussing was - if it was absolutely necessary to completely close the station? Can't they somehow keep the station open at peak-times - and work during the middle part of the day? Couldn't they keep one side's platform open while they work on the opposite one? Could they not erect temporary platforms & steps further along the tracks? Oh we had many wacky ideas - best of all was Tony offering his paid services to piggy-back passengers down the embankment! I'm sure they are going to lay on replacement buses - but we already have them on Sundays - and all know what an absolute joke they are! .......... there! Just a few we managed to come up with in between planting next springs daffodils. Please send any more suggestions to us all if you come up with brighter ideas! Sorry everyone – it seems the silly summer season has stretched into autumn as well. There are two more meedja requests for ant residents interested. First up is Adrian Warner – who is the Olympic Correspondent for the BBC. You see him on the news all the time – kind of got a nice dry appropriately dispassionate BBC delivery. He is looking for a local family. Are there any 2 or 3 generations of family living in or around Leabank Square to share experiences of all the changes over the years – culminating in the Olympics? Then there is the Simon Mayo show on BBC Radio 5. They want to know what locals feel about the massive Tesco Town being built around the corner. They would like 2 Leabankers – one pro – and one against Tesco building this incredibly large and neighbourhood altering development. If you want to be on this show (Tuesday 20th October) – then please call his researcher (Alice on 0208 6249 504). We are still a few years away from the actual games – and we can only expect many more of these kind of queries. So if there are any media-savvy residents out there who would like to be on a short-call list – please email me. Thanks! Remember what I said at the meeting about Hackney Wick being the most researched bit of the UK in the next few months? I work on a forum that discusses the Olympic legacy and the regeneration of East London – and what this means for residents of the five host boroughs. I'm keen to get as many voices heard and as there's been a lot of interesting and lively debate here, I wondered if you might be interested in joining me. By joining, you will benefit from having access to latest Olympic development news and your inputs (blogs/posts/ideas) will have a direct influence on decision making. Plus, there are tons of prizes to be won for your participation! Discussions are lively and fun, ranging from your favourite places in the east end, to sporting heroes, as well as sharing local borough news and discussing the Olympic legacy post 2012. If you'd want to join, please email me at community@caucusworld.com with the word JOIN in the subject. * Paragraphs where clarification or further information has been given by the ODA team. 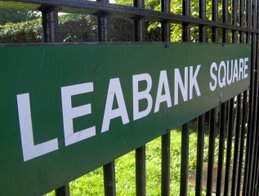 Introductions were made and TT stated that the meeting was held to create better relations between the ODA and Leabank Square (LS) residents. JK spoke about the ODA wanting to be a good neighbour. She stressed the importance of being open and honest with residents, but also stated that residents needed to be more open too. The ODA team would like to create a good dialogue with LS residents as they value residents’ opinions. *JK introduced the construction team. RR’s responsibilities include coordination of construction activities and communication about out of hours working in particular. GF represents Carillion and is responsible for the construction of the IBC/MPC. Peter Jones represents Skanska and they are responsible for building a lot of the roads and bridges. *RR spoke about the soil piles on Eaton Manor. Some of these will have to be moved to East Marsh, to be temporarily stored until it is used to form a ramp up to the new bridge over Ruckholt Road from the E. Marsh coach park into the Olympic Park. RR mentioned the Velodrome. The steel structure is taking shape and the cable roof should be completed by December. The platform has also been laid for the Basket Ball Arena. The landscaping of the Olympic Park has begun. Topsoil has already been deposited and the first trees will be planted in November. *There are currently 5,500 people working on site. There are 140 vehicles an hour during peak time. RR spoke about mitigation measures – 80 trains were used in September, a barge is used once a week to take about 90 tonnes of waste and 2 barges are used to bring bulk materials into the Aquatic Centre. *RR stated that 12% of the construction workers arrive at the White Post Lane gates from Hackney Wick Station. Planning Permission has been applied for to use these gates as a contingency entrance for ODA vehicles should the Eaton Manor entrance be temporarily closed or during necessary construction work to modify the road immediately outside the entrance. This may start to be used from February 2010. GF spoke about the foot path which is currently being built for ODA workers. It will be used by staff walking from the White Post Lane entrance to various points in the park. This should be completed by the end of the month. GF explained what we are to expect in the next 3 months. The cladding and the roofing of the IBC should be completed by the end of the year. GF informed us that once the cladding is up LS residents should not notice the lights so much on the Olympic Site (OS). Internal work will continue. Construction of the building cores (lifts/stairs) will continue on the MPC. As this building has a concrete frame, it will take longer to complete the work. The MSCP structure will be completed by the end of the year and the cranes for this will start to come down soon after. GF spoke about ODA efforts to mitigate noise and dust. Mitigations measures include starting the day at 8am, tarmac-ing roads (all roads have now been tarmac-ed) and using bowsers. These measures will continue into winter. 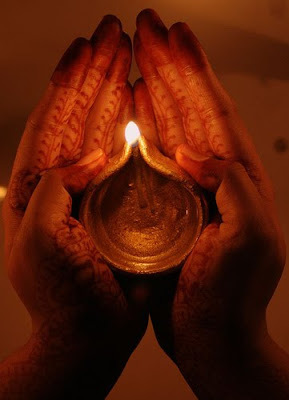 As the nights draw in the ODA will be more conscientious about lighting on site. More lights will be used in winter and so ODA workers will make sure these are pointing away from LS. Residents should call the Hotline number if there are any issues concerning lights. GF said he would be happy to discuss any further environmental mitigation measures. He mentioned that the potted trees would be loosing their leaves soon and any other ideas would be welcome. There are currently no plans to do out- of -hour works within the next 3 months. *RR stressed that dust and noise is still being monitored. Dust and noise levels have never exceeded the levels set by the Planning Conditions. *JK informed us that the ODA now has access to a small pot of money for community projects. TT mentioned the LS riverbank as being a potential project for the ODA. JK confirmed that safeguarding our riverbank would be a project that the contractors would be interested in. However there are landownership issues which would need to be resolved before this could happen. At this point CF mentioned that a replacement bridge has yet to be built across the canal. It has not been decided where this bridge will cross. There are numerous ideas, including the bridge going across from the LS riverbank and even opening the towpath up for pedestrian access. In any case this bridge will not be built until after the games. In light of this information, JK stated that any plans for changing the LS riverbank would have to be left until after the Hackney Wick Masterplan is confirmed. *JK informed us that Carillion want to open the Olympic site on Saturday 14th November, this event will enable local residents to get a sense of the scale of the project and meet the team building the IBC/MPC, special invites will be circulated. Local residents can also book tours to see the Olympic Park, the information will be in the next Engage newsletter. There are currently tours that take place every weekend for the general public. At the moment they are booked up to 3 months in advance. *The ODA will be negotiating to rent a room from the Hackney Wick Community Centre. This room will have information boards and updates on all Olympic issues concerning the Hackney Wick area. TT mentioned that some LS residents are interested in having a gate at the entrance of the Square. There was a discussion about the Overground being closed for 16 weeks and the impact this would have on parking and traffic in Hackney Wick. JK and GS spoke about dealing with ODA staff who park their cars in LS. Any staff caught parking in LS would be issued with a notice. One such incident occurred in LS which was promptly dealt with. Wick Village residents have had similar issues around parking. GS informed us that the two main issues concerning installing gates in LS are landownership and maintenance. These two stumbling blocks have also arisen in talks with Wick Village. SP raised a question about the road works on Chapman Road. The 26 and 388 buses are currently terminating at Cassland Rd. This is having a negative affect on local residents. The box junction at the top on Chapman Rd has faded. CF will investigate these issues and report back to SP. *JK stated that the ODA provides local residents 7 days notice before out of hours works are carried out in line with their Code of Construction Practice. JK went on to explain if there is a requirement to carry out emergency works this is the only time it is difficult to notify residents within the 7 days notice period, but residents will be notified as soon as possible. PJ spoke about the recent complaints they had received form LS residents about generators/pumps being heard during the night. He stated that although these sounds can be irritating, they did not exceed any accepted noise levels. PJ informed us that the contractors need to do some out of hour work on Saturdays afternoons from October – December. The normal weekdays are very congested and it would be unsafe to carry out this extra work then. PJ proposed that the nosier work be carried out between 8am - 2pm and the quieter work between 2pm - 6pm. If this work cannot be carried out on Saturday afternoons, they will continue to work on Saturday mornings and the work will take much longer to complete. RK was unsure if there was enough representation at the meeting to make decisions on such important issues. He stated that he was not happy with the ODA’s recent proposal for an extension on working hours. TT stated that both LS residents associations’ would consult with the Wick Village Tenants association about the proposed extra working hours. TT will supply JK with feedback by 24th October. RR mentioned that the under track crossing may also be an area which could result in future weekend work. SAC raised a question about the Olympic Park Border. Maps appear to show the LS riverbank within the Olympic Park boundary. JK confirmed that this is definitely not the case. SAC raised a question about Section 61 and emergency work. SAC wanted to know why emergency work was not factored into the planning before the construction started. Why is the work eating into our precious weekend time? RR informed us that due to the complexity of the work, unforeseen circumstances can arise, such as the discovery of an unexpected underground service or extraordinarily bad weather. .
RK stressed that Section 61s are not handed out so freely. There is much careful thought and consideration before the council grants the ODA emergency work permits. RK also mentioned that the Hackney Council has been making unannounced visits to the Olympic site. GF explained that there are many reasons why emergency work may need to be carried out. Weather conditions can mean that it would be dangerous to use the cranes or the temperature can affect things like concrete not setting properly. *SAC raised a question about the Olympic Hotline. Why does it take an hour for someone to call back when a message is left on the answer machine? JK explained that the lines operate from 9am – 5pm Monday to Friday by the Community Relations team. The ODA employs a service provider to operate the lines out of hours. The current service providers have been operating the out of hour lines since 2007. A call would go to an answer machine, if the operator was on another call. Apparently a large number of calls are received on the Hotline about employment opportunities. JK agreed that it should not take one hour for a call to be acknowledged and she will look into this. TT asked everyone if they would like to meet the ODA for another meeting. JK stated that it would be useful to meet up for an update just before the Christmas break. It was agreed that another meeting would be arranged for the beginning of December. TT mentioned that the Guardian would be filming in the Square on Friday. Leaflets were available for interested parties. My name is Wilma Stefani and I am a student of Tower Hamlets College (Digital video and Documentary course). I am writing to inquire about the possibility to shoot a video about Leabank Square, focusing in particular on the transformations taking place after the beginning of the Media Centre building works. I would like to interview a resident, to investigate the problems you are facing living in the area that will host the 2012 London Olympic and Paralympics Games.I read your blog, and I know you are worried about the environmental effects of the Olympic Park development, and that you want to have yourselves heard and cooperate with the authorities in their decisions. Please let me know if you have any queries about this project and if you would like to get involved in it. We all well & fondly remember all the greenery we used to see across the canal. Arena Fields was the most lush, peaceful, environmentally refreshing view we could ever have wished for. This is what the ODA think we want to see instead! Not only is the sun rising a full hour later than it normally would at any time of year - but they have decided that there isn't enough grey for us to see - especially going into winter. We begged them to clad the buildings in a living wall - No! 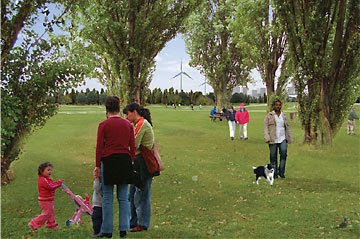 We then asked them to re-design the buildings to be halfway as exciting as the other Olympic buildings on the park - No! So now they have decided that we must see grey all along this massive building - and as we go into winter - this should make us the happiest bunnies in town. Can they honestly say that they are being a good neighbour anymore? Can you believe what we saw in Leabank Square this morning?! This is additional proof that our greening of Leabank Square is definitely working! Well done to all in the Gardening Club!! So far we have only seen just this lovely specimen - so please let us know if you spot any others. This is a common and widespread grasshopper found in coarse grass in moist situations. It is often abundant in parkland, meadows (we found it in our wildflower meadow) and along woodland rides. This one is a male as they are olive brown - and the females always have a dorsally green top bit. This Sunday - 11 October 2009 - the Leabank Square Gardening Cub is meeting on the green to collect seeds, dig up the sunflowers and plant Spring 2010 bulbs!! Please join us at 11am as we say good-bye to our glorious sunflowers!! All summer long they shone brightly, cleaned our soil, children had fun - and at the moment they are busy providing much needed winter fattening food for our garden birds. But all amazing things come to an end - so please come and join us on Sunday. Refreshments and tools will be provided. Right - we all well remember the humungous doo-dah last time we tried to get together with the Community Relations team from the Olympics - don't we?! Please be nice Leabank Square! I DO NOT want to censor any residents comments again. I DO NOT want any visits from the police again. I DO NOT want any letters from lawyers again. I DO NOT want to have to explain to you why I took your comments down. I would rather you took all your concerns to this meeting. Tracie has organised another meeting with the suits from the construction companies opposite, along with their Community Relations team - with a packed agenda. You should all shortly be receiving the flyer through your post slot - but in the meantime - here is the email version currently being circulated. Please - PLEASE do come to the meeting. This is the only way we are going to get things off our chests. Tracie has provided an email address for those of you who can't make the meeting as well - so make sure to send her any queries you may have in your absence. She is a real trooper - she is definitely on our side - and she will definitely get answers for you! You may already know that the Leabank Square Community Association has been talking the Olympic Delivery Authority (ODA) about what they do and how we can work together for a better Leabank Square. As the ODA are probably our closest neighbour and are responsible for the development of the 2012 site it is important to them that they are good neighbours. There have been some well reported newspaper articles which have left some unanswered questions about the site and it would be good to have the opportunity to talk about these with the people who really know. We have arranged a meeting for all of us to meet with the ODA, contractors and developers on WEDNESDAY 14TH OCTOBER AT 7.30PM. This will take place at the Hackney Wick Community Centre (The Old Baths). There will be refreshments. There will be an opportunity to hear the ODA talk about being a good neighbour and covering the recent media articles as well as hear from the Contractors what the next three months will look like for us and them. There will be an opportunity to discuss some of the issues which we have as residents, see what is being done and planned around these and to discuss opportunities coming up such as family days and other ways which we might be able to improve the square in areas such as the riverbank, gardens, car parking and front gates. Please do come along and meet people, find out what the future holds for the Square and have your say. If you are unable to attend, have access issues or would like to be involved without attending, please either call Tracie on 07525923750 or email tracietrimmer@hotmail.com. Just look at this beauty! She has got to be one of the most beautiful residents in Leabank Square! There are literally thousands of them around the green and riverbank at the moment. Apparently the damp warmish late summer climate has made them last a bit longer than other years - but they may not be spinning webs for too much longer - so come and check them out while you can. The female of the species ranges from 10-13mm, and the male is 4-8mm. They vary in colour from pale yellow or brown to almost black, but they can always be identified by the white cross-shaped group of spots on their abdomens. Garden spiders build a circular orb-web with a recognisable spiral pattern. They sit in the centre waiting for an insect to collide into the web. The spider then rushes towards the trapped insect and wraps it in bands of sticky silk. When the insect is immobilised, the spider will finish off the insect with a bite and an injection of venom. It will then take the wrapped-up insect to the hub of the web where it devours its victim. There are hundreds in the wildflower meadow at the moment - probably stocking up on smaller bugs for the winter. Please do yourself a favour and come and look at their beauty! Did you cry for Paula in Athens? Jump for joy for our rowers in Sydney? Who was your favourite, Olga or Nadia? Were you watching Munich in ‘72? Do you know what a Fosbury Flop is? And who can forget Usain Bolt’s record-breaking 100 metres? You may have watched the Olympics over the years from your sofa or even a stadium seat. Your memories may be cloudy or crystal clear. Whatever you remember, You are invited to share it on film. Come and take part in the ‘Memory Marathon’ and pass the baton on! On Saturday November 7th 2009, artist Simon Pope will be filmed walking a 26 mile route around the five Olympic host boroughs. Over 100 people will accompany him along short sections of the route, sharing their standout personal memories of the Olympics. Could you or someone you know, be one of them? You don’t have to be a sports person or anyone special to take part. They are open to ALL types of stories – personal or professional, trivial or profound. By living in Leabank Square - you already qualify. Do something different: have a go! Its your chance to be part of a unique experience, meet new people, share your stories and star in a film! Its easy to get involved: Just send them an email soon, marked ‘Pass Me the Baton!’ with your name and phone number to Mel & Anna, the Participation Co-ordinators at: passthebaton@me.com Or send a text (with your name), saying, ‘Pass Me the Baton!’ to: 07957 433 234. Come on Leabank Square - be a part of history!